On Wednesday the 8th of November, the Union of Students in Ireland (USI) will be registering thousands of students to vote across Ireland as part of the annual National Day of Voter Registration. 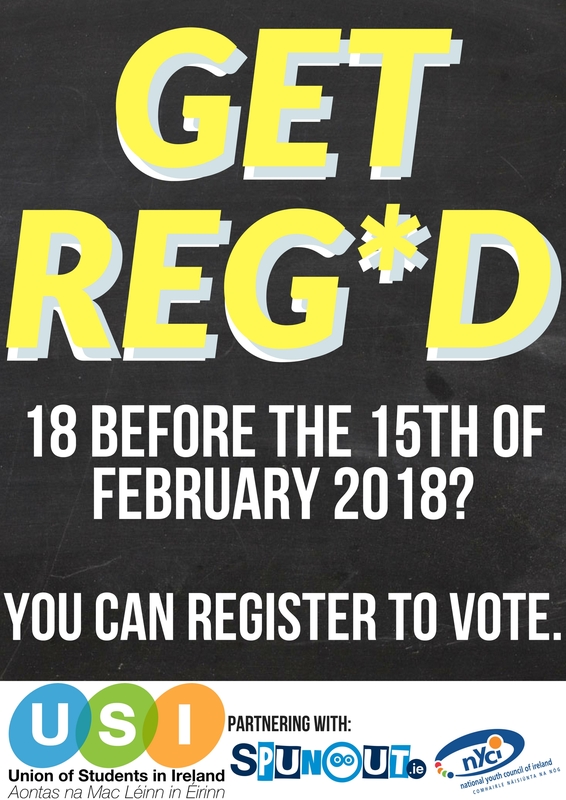 The nonpartisan campaign, “Get RegD”, has partnered with the National Youth Council of Ireland (NYCI) and SpunOut.ie to ensure as many young people get registered to vote before the deadline on November 25th. Students are urged to check if they must add their name or change their details in the draft Register. This can be done up to the 25th November of each year. Students can fill in form RFA1 for the draft Register. You also can get an RFA1 form from your local post office or public library. If you are registering because you have moved to a new address, you should include this information and your former address so that you can be removed from the register for that area.